The Porter pendant light showcases a simple 1-light design with an Industrial feel when paired with our Vintage edison bulbs. Customize its hanging length to be used as a semi flush or hanging pendant over a kitchen island, in restaurants, cafes or dining rooms. 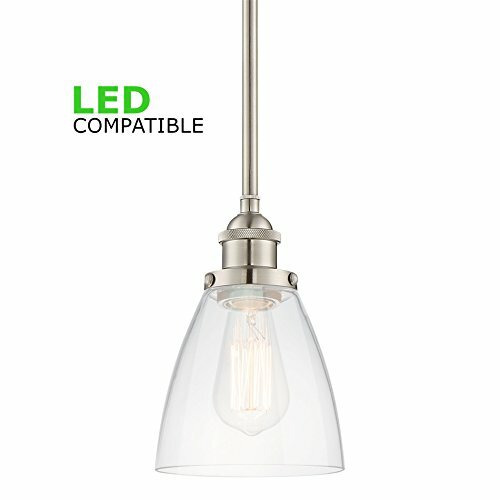 It's beautiful brushed nickel finish will not disappoint.